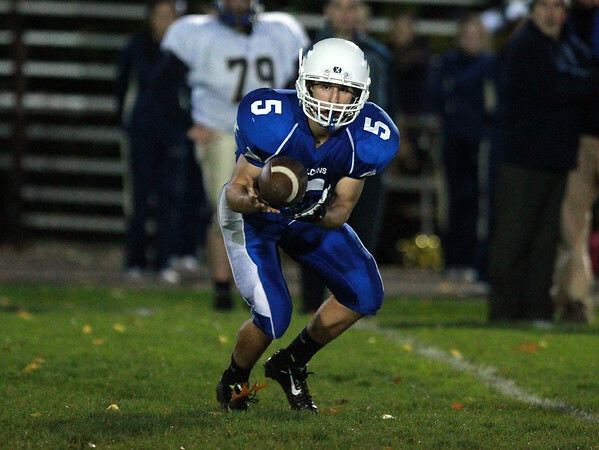 Danvers senior captain Cris Valles (5) keeps his eyes trained on a quick screen pass from quarterback Nick Andreas. DAVID LE/Staff photo. 10/24/14.